We'll be chatting about the first fully written account of the First Nations Peoples' oral wisdom teachings for evolving consciousness and much more. The New Year is soon to breakthrough and this is a great way to move into 2014. Join us. Nicolya Christi is an Author, Writer and Evolutionary Guide. She has already gathered the attention of Barbara Marx Hubbard, Ervin Laszlo and other evolutionary leaders as a contemporary voice for today’s generation of awakening co-creators for the post-2012 world. Nicolya is the author of ‘2012: A Clarion Call: Your Soul’s Purpose in Conscious Evolution’ (Published by Bear & Co Spring 2011). Ervin Laszlo endorsed this book quoting as “The most remarkable spiritual book on this or any other subject that I have ever read.” Barbara Marx Hubbard wrote the Foreword citing, “Nicolya Christi is our guide through this evolutionary world shift, one of the best I have encountered.” 2012: A Clarion Call was placed in the top ten of Spring 2011 book reviews by Publishers Weekly. 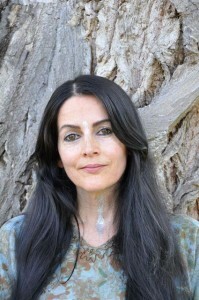 Nicolya is also the author of ‘2012: A Clarion Call Book of Meditations’ (Self-Published April 2012), ‘New Human–New Earth: Living in the 5th Dimension’ (Self-Published April 2012), ‘The Diamond Heart Prayer Meditation and Affirmation’ (Self Published July 2012, and ‘Ego/Self: A Fairytale”, (Self Published July 2012. She is also a ‘co-author of ‘2013: The Beginning is Now’, along with such luminaries as Ervin Laszlo, Jose Arguelles, Geoff Stray, Carl Johan Calleman and Gill Edwards, (published March 2011). Nicolya is a contributing writer for Ervin Laszlo and Kingsley Dennis’s soon to be published book, ‘Dawn of the Akashic Age’. 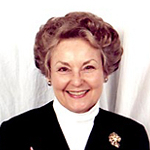 She is the founder of WorldShift Movement, co-founder of WorldShift International, and co-initiator of WorldShift 2012. Nicolya has recently completed her second mainstream book to be published by Bear & Co/Inner Traditions – ‘A 21st Century Handbook for Psychological, Conscious and Spiritual Evolution: From Personal to Global Evolution’. It will be available in all mainstream outlets from August 2013. Her primary focus is on supporting and informing, through sharing the message of her Work, guiding both the individual and the collective towards personal and global transformation and evolution.